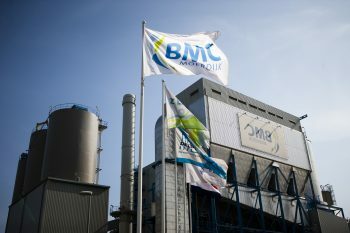 BMC Moerdijk is a unique power plant: it is the sole power plant on the European mainland that converts poultry manure into sustainable energy. 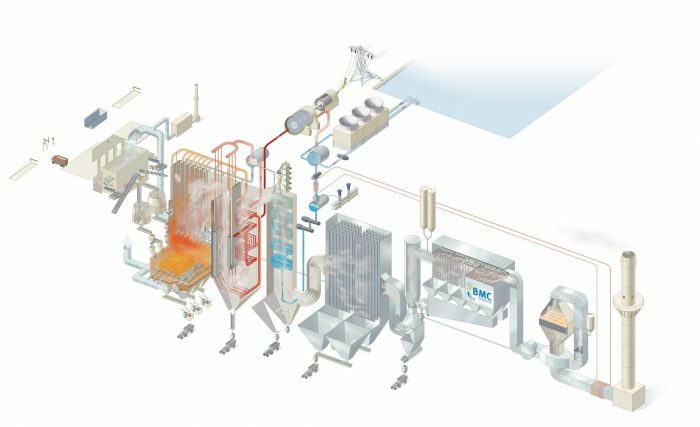 The incineration of the manure releases energy in the form of heat, which is then converted into steam and fed into a turbine that drives a generator to produce electricity. The plant processes 450,000 tonnes of poultry manure per year, equivalent to one-third of the total amount of poultry manure produced in the Netherlands. It generates a gross amount of 285,000 MWh of power per year and supplies a net amount of 245,000 MWh to the electrical grid, sufficient to supply the annual needs of circa 70,000 households equivalent to a city of the size of Breda. Ash is the sole residue from the incineration process. The ash, which contains valuable minerals such as potassium and phosphorous, is homogeneous since the fuel – poultry manure – is of consistent quality. BMC supplies this ash to customers outside the Netherlands, who use the ash as a soil improver. 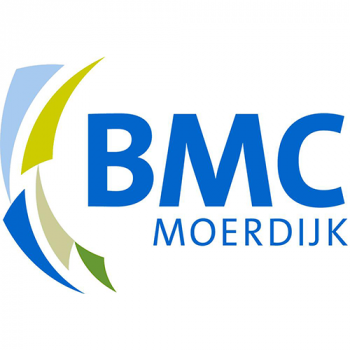 In so doing, BMC Moerdijk offers several benefits: manure is processed in a responsible manner, green energy is supplied to the grid and ash packed with valuable minerals is available for the agricultural and horticultural sector. The poultry manure is burned by blowing hot air through a layer of sand at a temperature of 765°C, causing it to behave like a boiling liquid. The flue gases are combusted further by adding extra air, taking the temperature up to 1000°C. Water is heated to make steam, which is then superheated and used to drive the turbine. Ash drops through the furnace bed into a silo. The lighter ash is carried along as dust with the cooled flue gases and separated from them later in the process. An electrostatic filter removes residual ash from the flue gases. As the particles are negatively charged they will be attracted to positively charged plates and will so be removed from the flue gases. At specified intervals the plates will drop off the agglomerated particles. Lime and water are injected into the Turbosorp®. The flue gases are now at 165°C. The screen filter traps the salts formed and the last ash. In order to improve the efficiency the lime, including ash content, is recirculated. The DeNOx filter converts oxides of nitrogen into harmless compounds. By means of a catalyst and ammonia the nitrogen oxides are reduced to nitrogen and water. Steam at 65 bar and 478°C drives the steam turbine. The turbine is connected to a generator that produces electricity. 285,000 MWh of green electricity is generated annually. The amount of electricity minimized with a small amount for internal use will power 70,000 households. The ashes from the silos are collected. The ashes are rich in minerals and very suitable as a soil improver, by containing phosphorus and potassium. These ashes are used as (basis for) fertilisers in Belgium and France amongst others.